This crunchy, protein-rich alternative to croutons and crackers is perfect in soups and on salads. 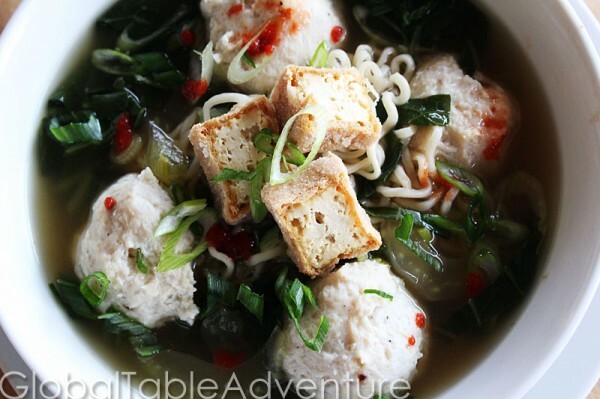 A great way to introduce tofu to someone who has never had it and particularly wonderful in our Bakso Noodle Soup. 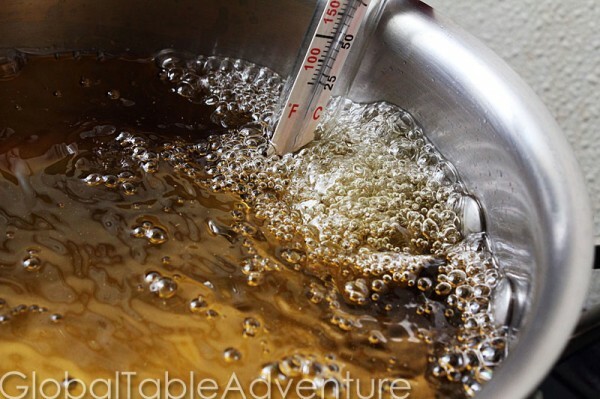 Preheat vegetable oil to 365F in a small, uncovered pot. 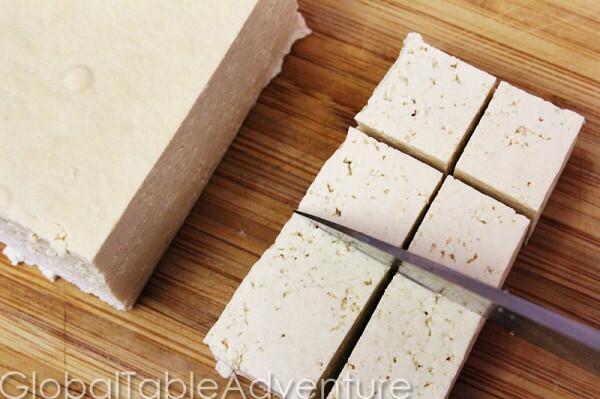 Drain off a package of tofu, preferably super firm. Slice into even cubes. I like to see how perfect I can get the cubes. We used to get tested on things like that at the Culinary Institute of America. If you like plain tofu go ahead -sneak one … you’ll still have a lot left. 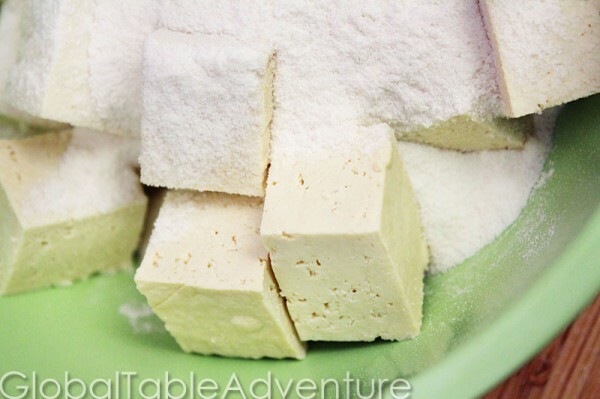 Next, make it snow: cover in rice flour (or you can dip them into the flour, on a plate). 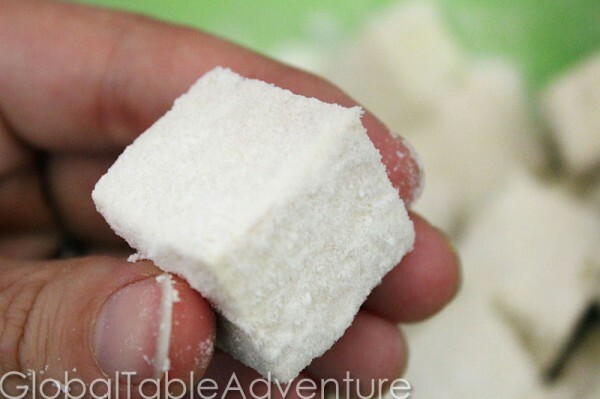 Either way, all six sides of the cubes should be covered with rice flour. Drop them into the oil, taking care not to crowd them. 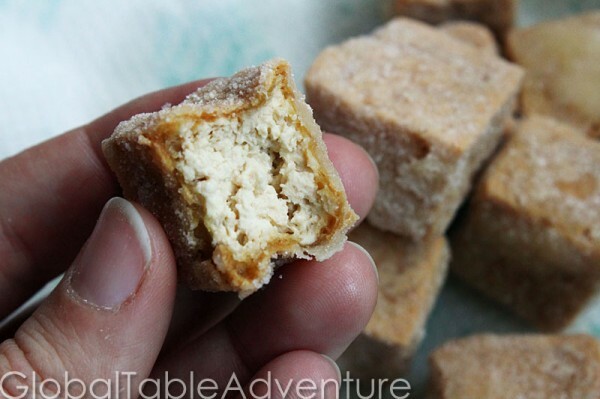 When they are done they’ll be tan and crunchy on the outside and totally tofu on the inside. Drain them well… and salt them, if desired. … or use as a delightful garnish to any meal, especially an Asian one. 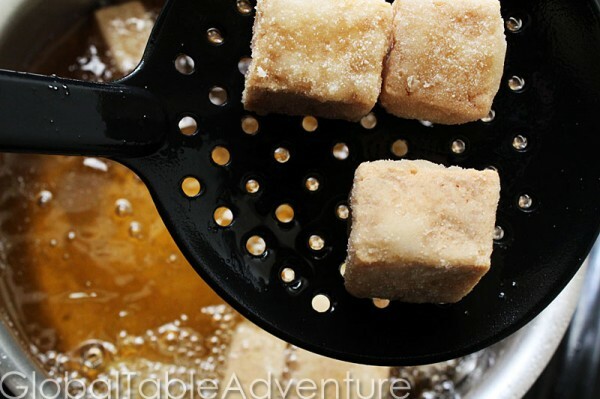 Preheat vegetable oil to 365F in a small, uncovered pot. 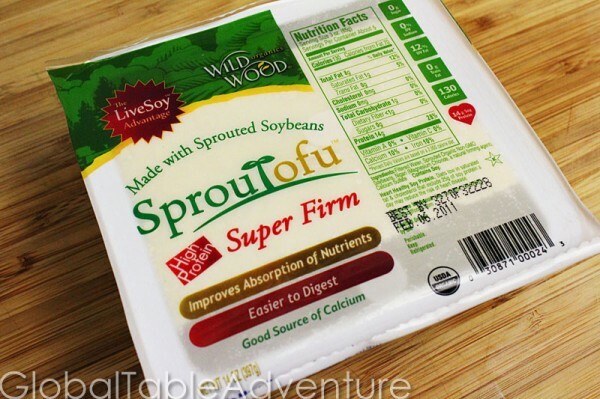 Drain off a package of tofu, preferably super firm. Slice into even cubes. Cover in rice flour (or you can dip them into the flour, on a plate). 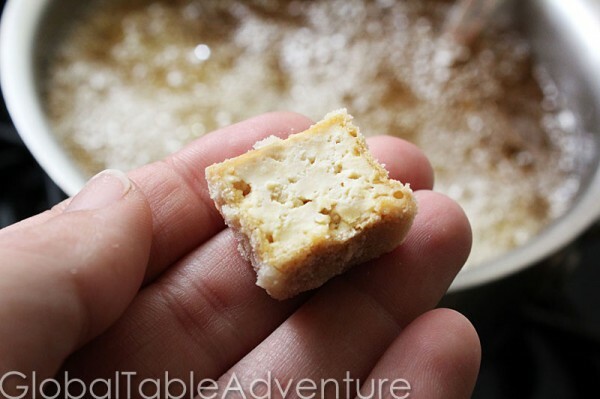 I never have tasted tofu like this. I know tofu very well, because my Mom is from Japan. 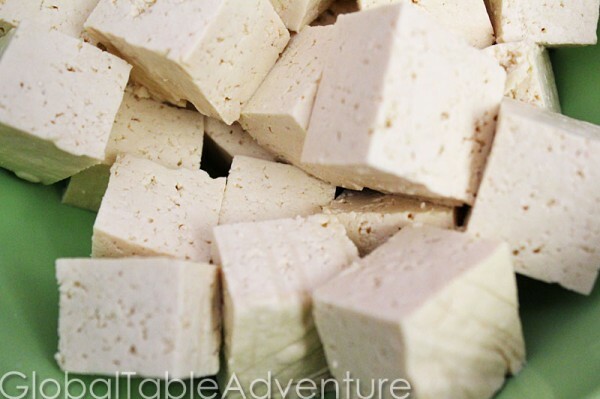 So, we would eat tofu very often when I was growing up. Especially in soup stock or with veggies. This is awesome, and really one of my favorite ways to eat it. However I never deep freid it..When I cooked at the Health Food Store another cook made a fantastic tray of “un chicken” cutlets. They were fairly thin slices of tofu, coated with pultry seasoning, veg sal, pepper, and bread crumbs..MMMMMMgood! We used olive or avocado oil for frying. So they were little fried on a pan and than baked in the oven..they were crunchy and soft just like your look…..I dont have a deep fryer, I wonder if you could bake these as well?? ?